So my Mom, Martha H, made this beautiful quilt for my aunt Joyce. 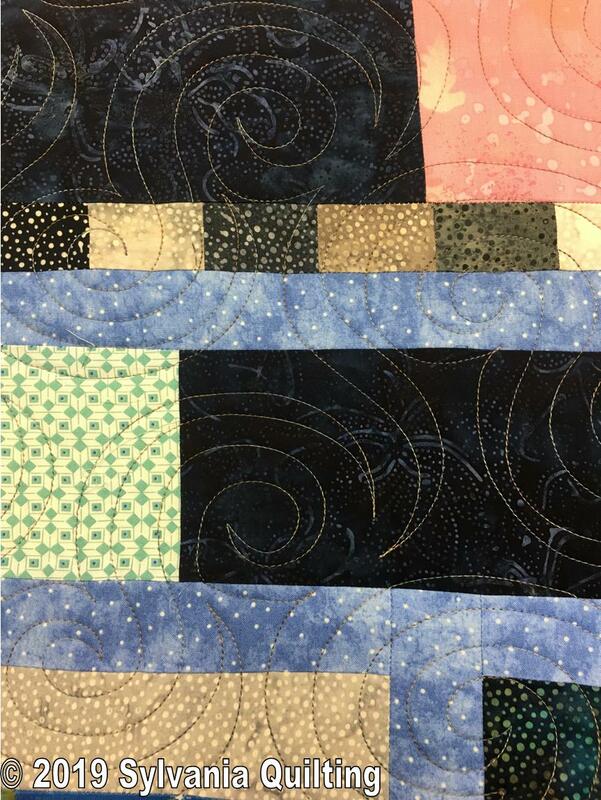 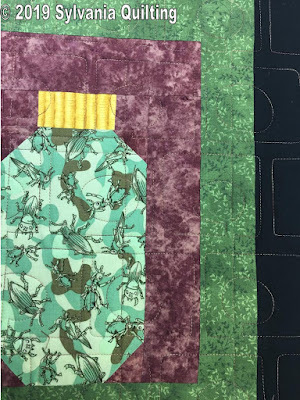 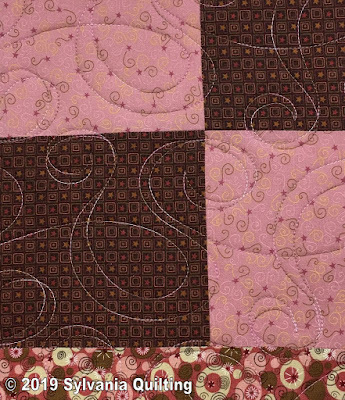 It was a block of the month from the Quilt Foundry - probably from 2011. 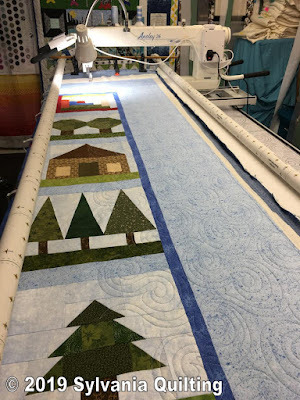 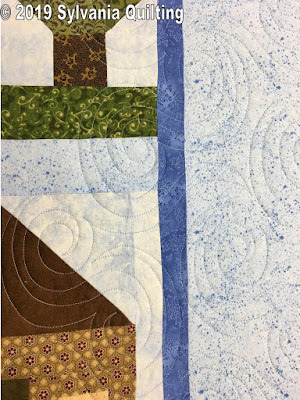 We used the quilting pattern Waves 3 and used a variegated light blue thread. 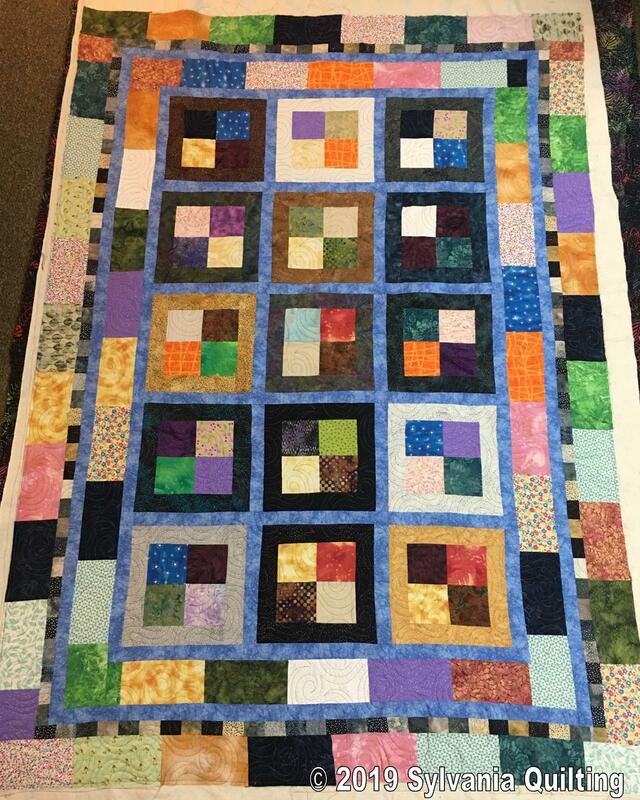 My aunt even sent me a picture of how beautiful the quilt looks in their home! 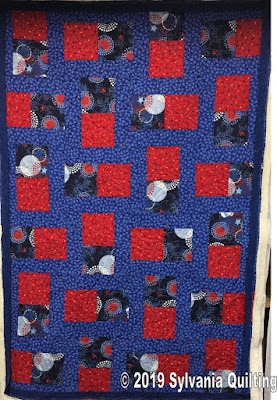 Peggy W. made another one of her awesome scrappy quilts - this one she named Scrappy Squared. 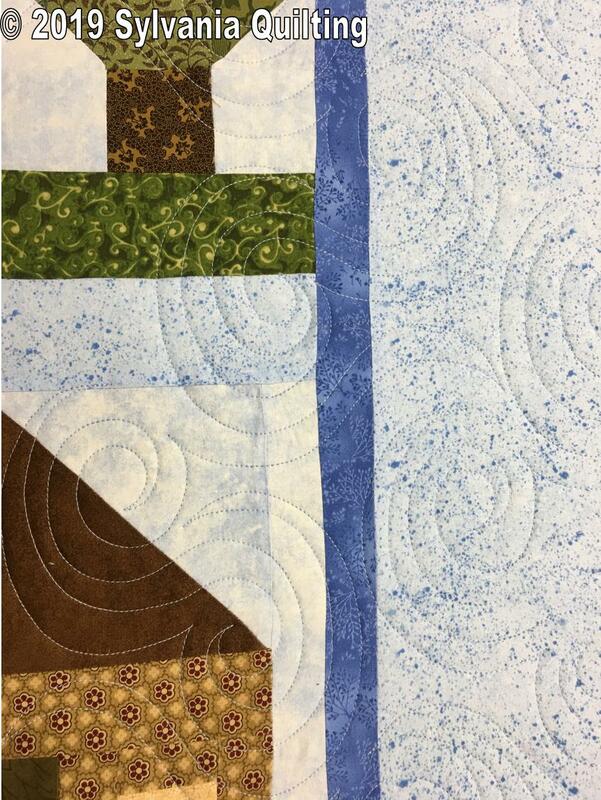 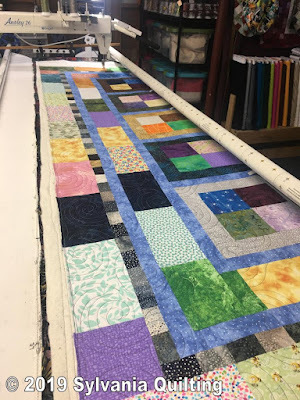 We used a quilting pattern called Waves 3 and a variegated brown/blue thread. 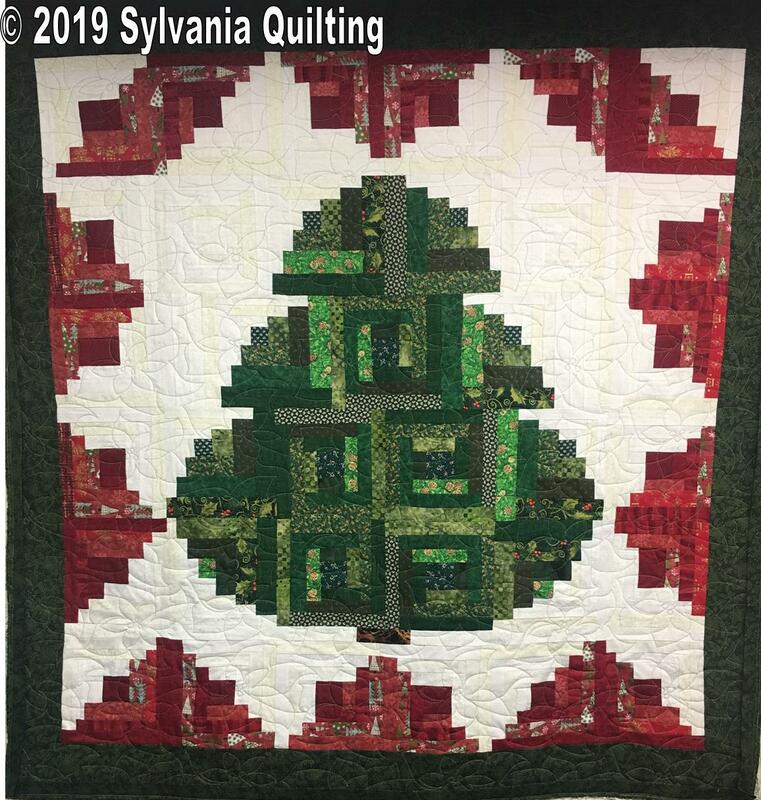 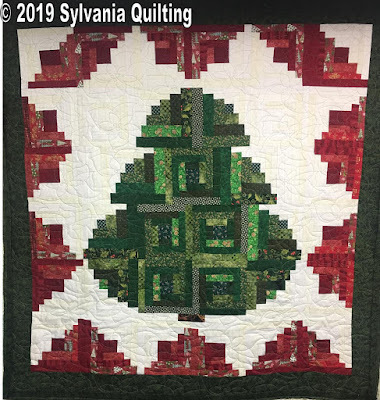 And another wonderful quilt by Judy W - It's called "Trim the Tree" and it was a class offered by Sonflower Quilts. 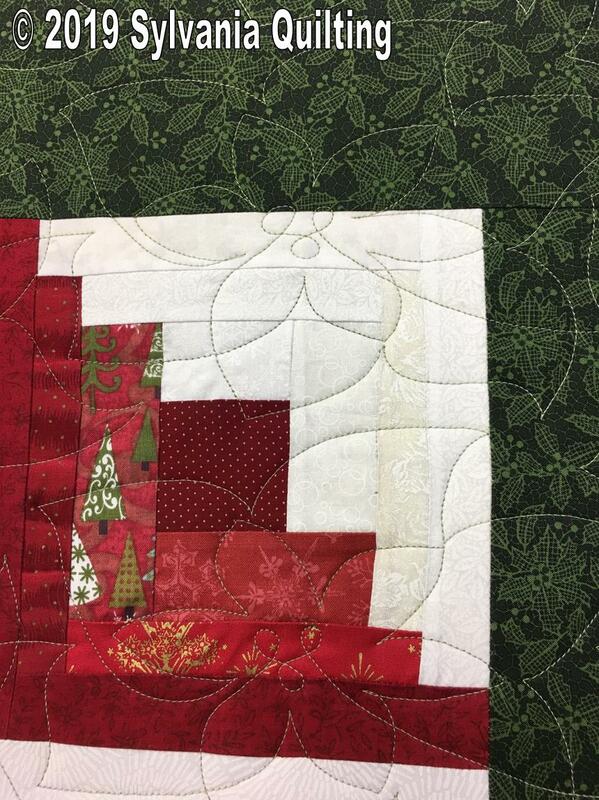 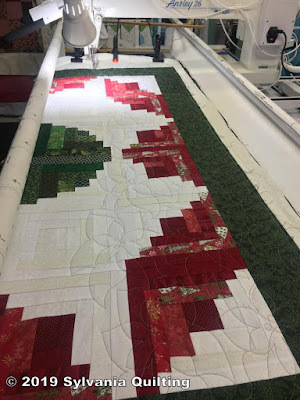 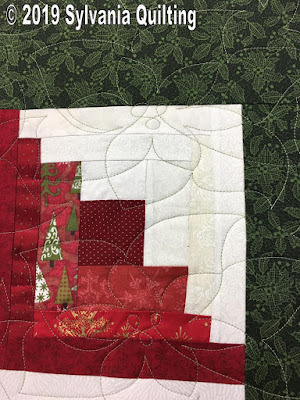 We chose a quilting pattern called Poinsettias and we used a variegated light green thread. 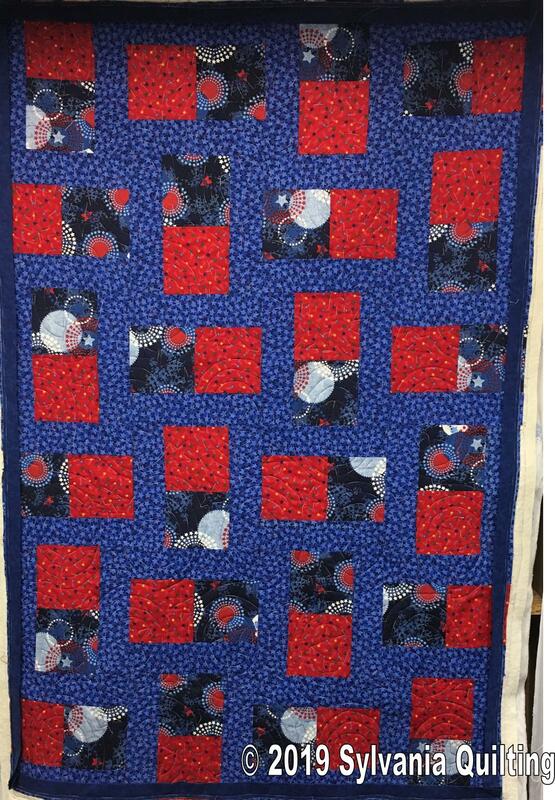 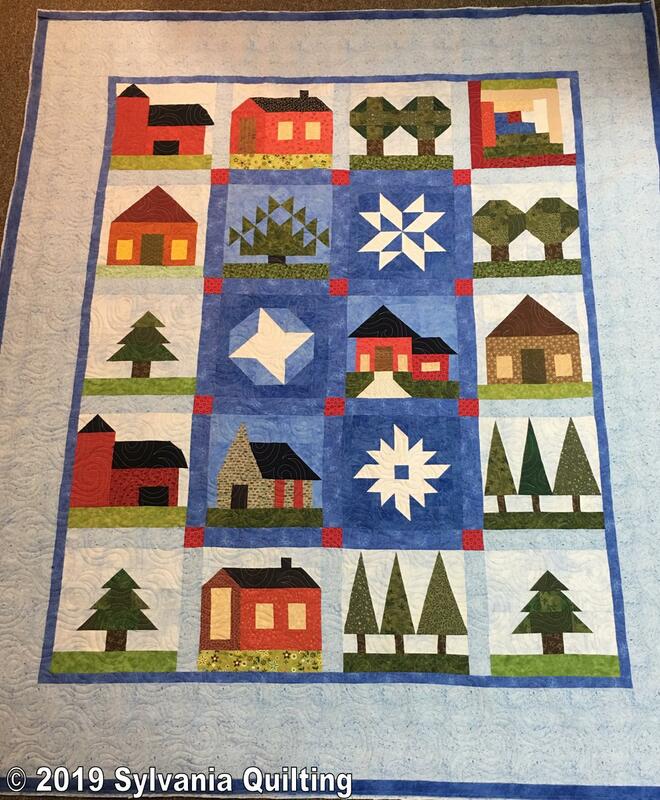 And here's another Project Linus quilt by Judy W. She did this Americana kids quilt. 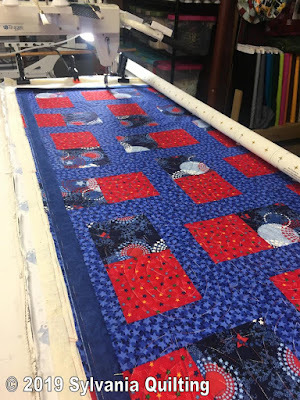 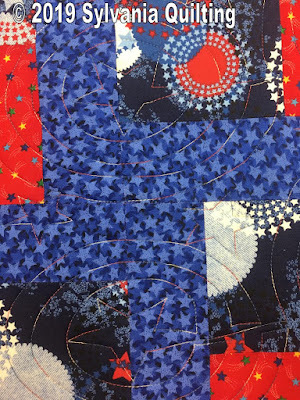 We used the quilting pattern Stars 1 and used a variegated red, white and blue thread. Here's a pretty quilt by Judy W. She made this for Project LInus . 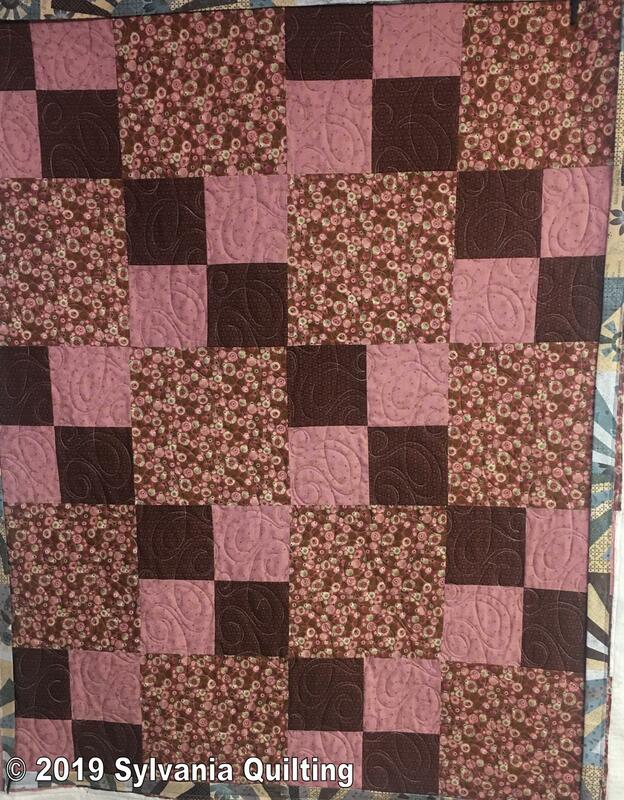 It's a beautiful dusty pink. 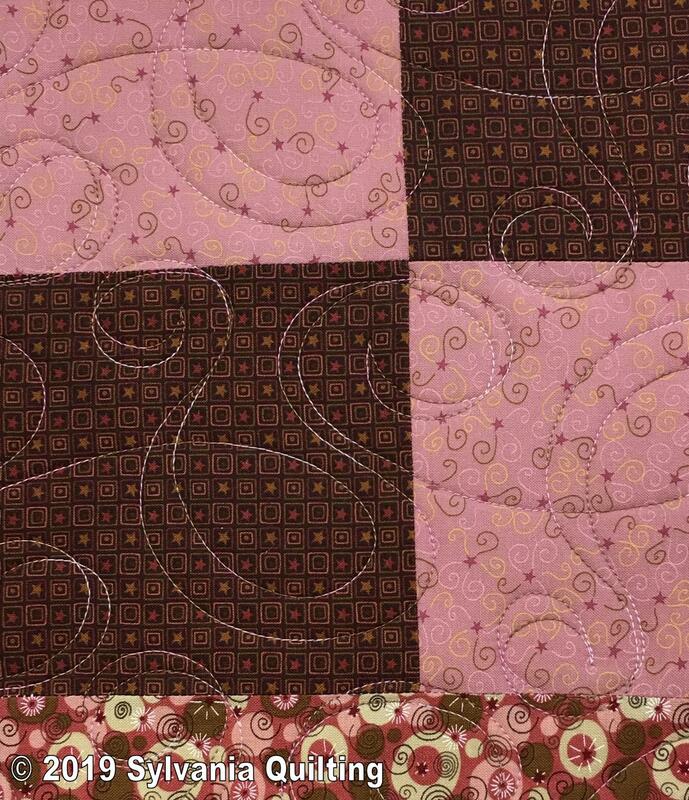 So we used a quilting pattern called Swirls and used a variegated pink and brown thread. 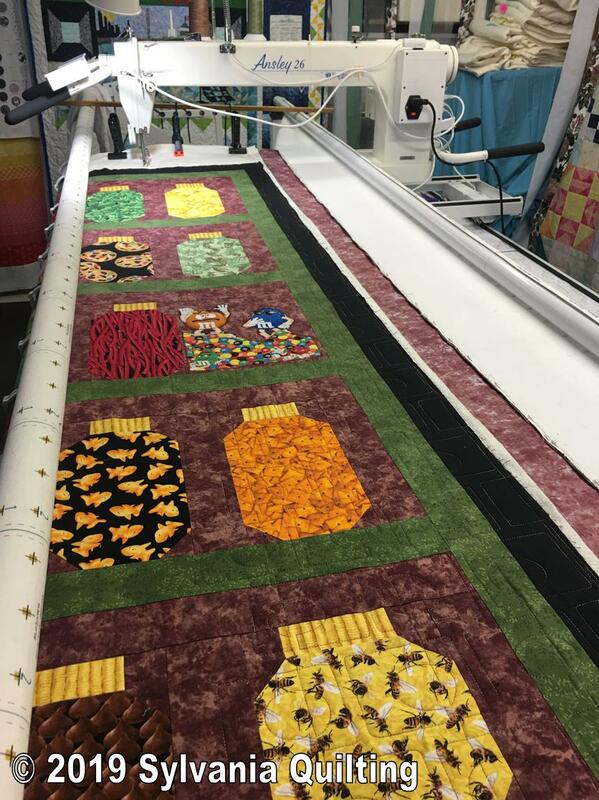 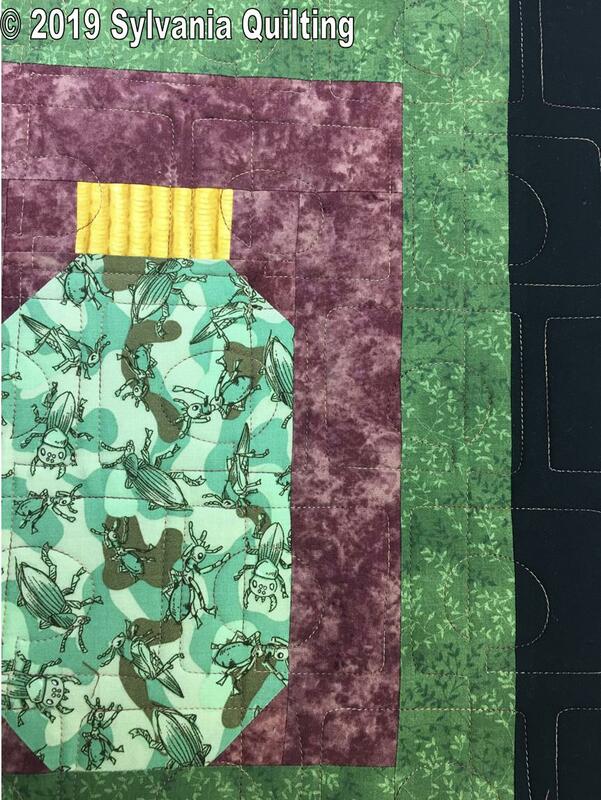 Yvette L. made this fun jar quilt for her grandson. 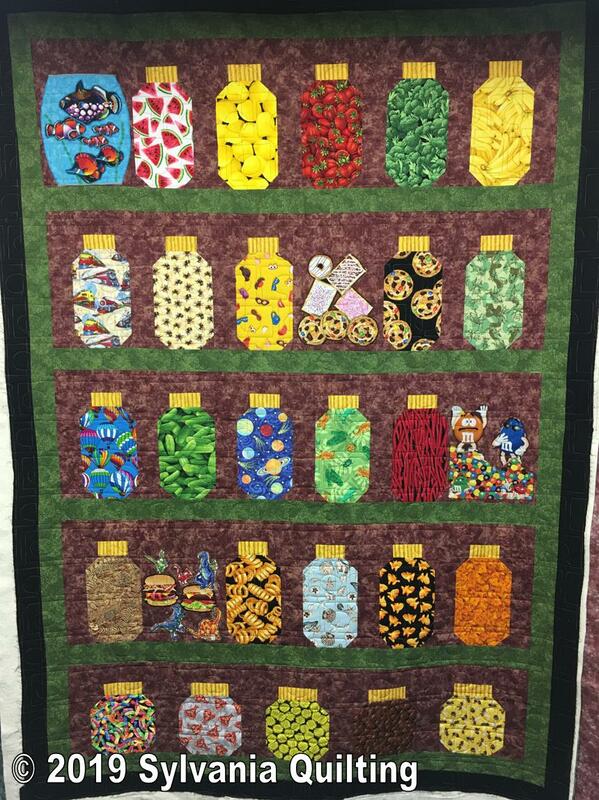 Notice the fish bowl in the upper left hand corner! 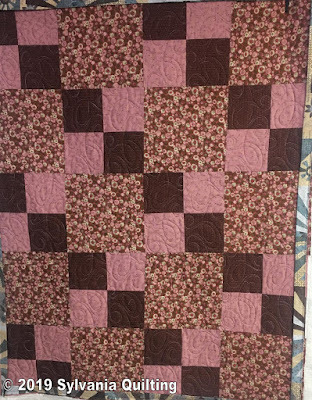 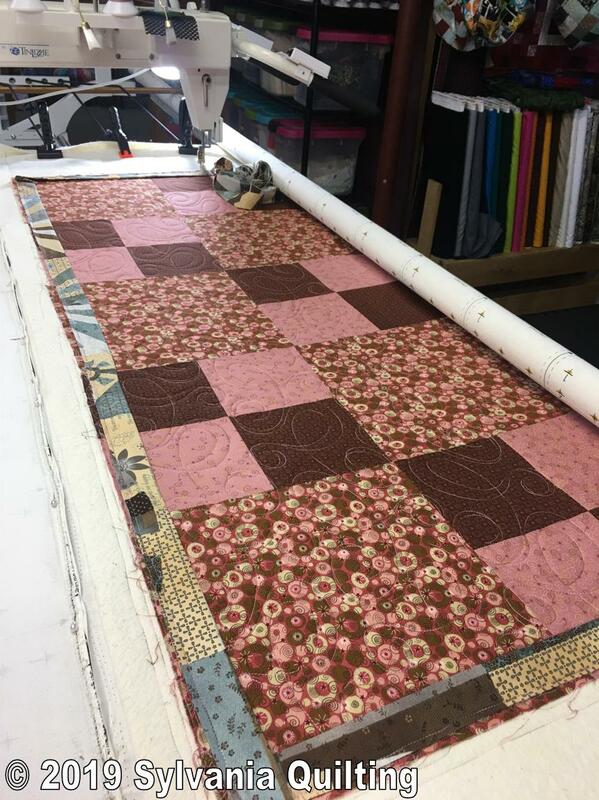 We used a quilting pattern called Windows and a variegated brown and red thread. 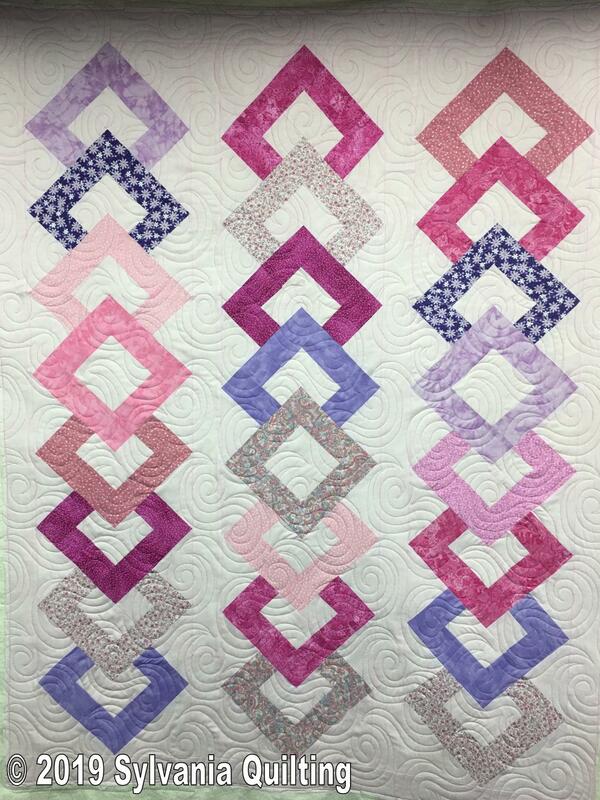 Katy's Baby Quilt by Barb C.
Barb C. made this cute baby quilt. It was a class at Sonflower Quilts. 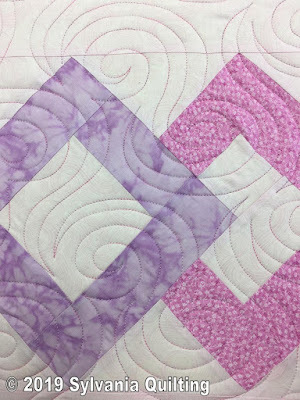 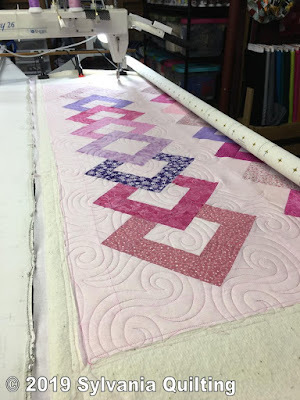 We used the quilting pattern called Waves 3 and used a pink and purple variegated thread.